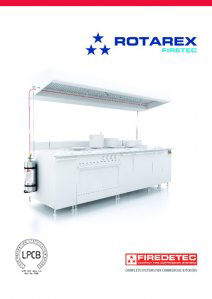 The flexible sensor tubing is easily installed directly inside the extractor hood - directly above cooking areas.. When in service, the tubing is pressurized with dry nitrogen to 16 bar. The dynamics of pressurization make the tubing more reactive to heat. 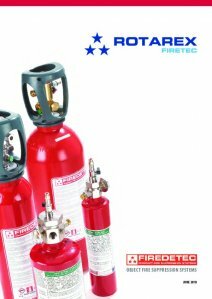 If a flame-up occurs, the heat of the fire causes the pressurized Sensor tube to burst at the hottest spot (approx. 175°C). The sudden tube depressurization actuates the special pressure differential valve and instantly floods the cooking area with Class F extinguishing agent. The fire is quickly suppressed just moments after it began... minimizing damage and downtime.